Want to know best home remedies for baldness and hair loss?Baldness – This is one of the problems that a lot of people are facing right now. It is normal to lose on average 50 to 100 hairs a day.But when this loss worsens, it towards baldness. The first signs of this phenomenon can be manifested in the twenties, located on the top of the head, the forehead, the temples and the temporal gulfs. 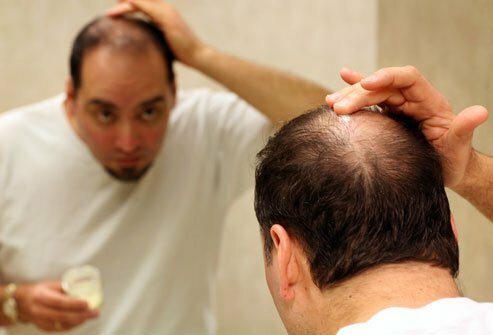 Contrary to popular belief that only men get afflicted with this condition, there are also some women who report to have thinning hair over time. In most cases, this hair loss is related to male hormones . Other factors can lead to a hair loss such as intense stress, trauma, medication or skin disease. Dandruff can also cause scalp irritations that affect the health of your hair. While it can be exciting to try out the various natural home remedies for baldness, it will be better if the main causes of baldness can be pointed out first. This way, if ever you are having this problem, you can pinpoint its main cause. What Cause Baldness and hair Loss? 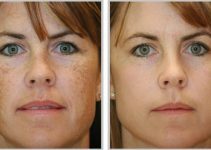 Aging – It is true that as people age, there are different nutrients that are needed by the body that are not met. The skin starts to become flaky and dry up and the scalp becomes affected as well. Stress – People sometimes become too stressed because of all the things that they have to do. When stress becomes too much, this can cause hair loss and when hair loss starts to happen, people become even more stressed. Avoiding stressful situations can be the solution. Medical Conditions – There are some medical conditions such as Thyroid that might be causing hair loss. Consulting the doctor for more details about this can help a lot. You may want to place oil on your hair because you would like to make it look sleek and shiny but aside from that, you have to know that you can also place some oils on your scalp for a massage to make the hair grow better and fuller. The right oil plus the correct massage will help the blood flow of the hair follicles and will make hair grow more. Have a mixture of coconut oil, olive oil and castor oil. In order to make it mix well, place a few drops of rosemary oil. Place on the scalp and massage very lightly. Do this once every week. Usually, when you hear about henna, you might think about that thing that people use in lieu of tattoos when they only want something that is temporary. Do remember that henna leaves are very popular in some places of the world because they are not only known to make hair color and make it shiny, they can also prevent hair loss. Boil a few henna leaves in mustard oil. Let the henna leaves in mustard oil cool down and mix it in with coconut oil. Apply on scalp and the rest of your hair about twice a week. You may not be too familiar with fenugreek but you will be once you use it to prevent hair loss. Fenugreek is also known as methi and it can help prevent hair loss because it has hormone antecedents which in turn can enhance hair growth. 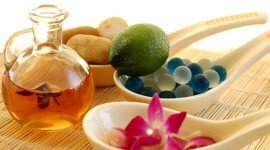 It can also help the hair follicles become healthier to provide more hair. Soak a cup of the fenugreek seeds on a clean bowl with water overnight. Grind the fenugreek seeds after until it turns pasty. Apply the paste on the hair and scalp and leave it on for half an hour. You can place a shower cap while you have it on your hair to make it more effective. Do this every day for a month or until you get your desired results. It is likely that you would like to stay away from onions and garlic because of how they smells but what if you would learn that they are very effective against hair loss? Onion and garlic are rich sources of sulfur which can used in conventional medicines for hair regrowth.Onions can be effective in the treatment of baldness that are in patches. 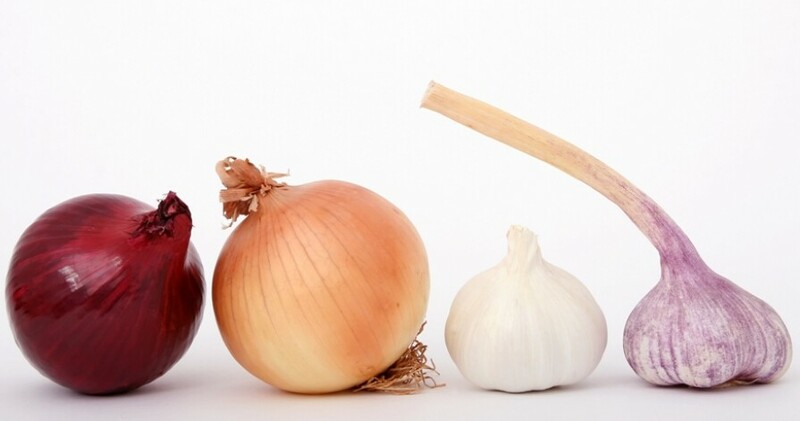 Cut the onion in half (It does not matter whether it is white or red) and place the onion half on the affected side in the morning and at night. Keep on rubbing the onion until the area becomes reddish in color. Place honey on the area to soothe the redness. Do this every day until results start to show. You can also crush two cloves of garlic, add a little coconut oil and boil for 2 minutes. When this mixture is not hot,apply it on the scalp while rubbing a little. Repeat this process 2 to 3 times a week for best results. If you are not familiar with what Amla is, this is also known as Indian Gooseberry. Is it more familiar now? The main reason why it can be a good remedy against baldness is because it has a lot of Vitamin C. Vitamin C deficiency is one of the reasons why people experience hair loss and hair fall. Having enough vitamin C in the body can help counter that. Mix the amla pulp together with lemon juice. Massage the mixture on the scalp for a few minutes. Make sure that this will be done thoroughly. Cover hair with a shower cap and leave overnight. Shampoo hair in the morning. These greens are known to have some properties that can help prevent hair loss or can help prevent baldness. They are rich in vitamins that can help promote hair growth too. Make a paste using lettuce and spinach. This can be achieved by placing the two greens in a blender. Once the paste is done, place it on the affected areas of the scalp. Leave on the paste for a certain period of time. This is usually recommended to be placed on the head about 15 minutes before bathing. Wash it off when bathing. Do this about 4x every week. This is well known to be a good home remedy against baldness probably because it is one of the ingredients usually placed in shampoos. 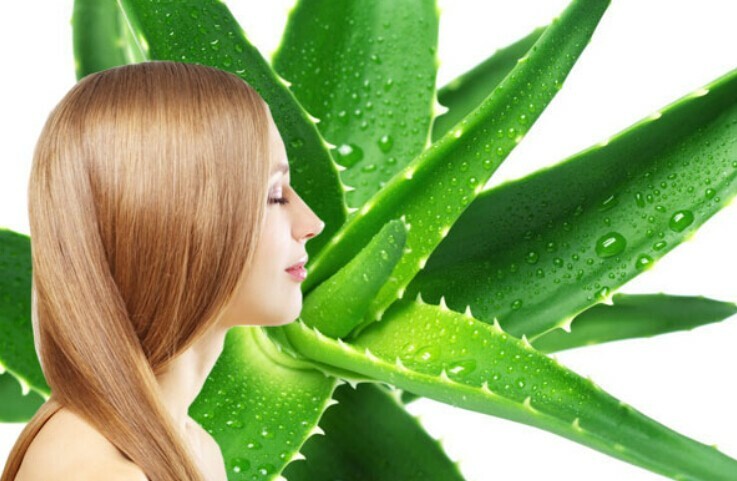 Aloe vera gel has alkalizing properties that can neutralize the pH level of the hair and scalp. This can of course, promote hair growth. Apply Aloe Vera gel on the hair and the scalp. Leave it on the hair for about 3 – 4 hours. Wash off the residue with warm water. Do this about three times a week to get desired results. Lemon is known to have a lot of vitamin C that the hair and scalp needs so that it will not fall. The lack of vitamin C is one of the reasons why people experience hair loss. This can be changed with the use of lemon and pepper cons. Take pepper cons and lemons and crush them together. Add a bit of water to make a smooth paste. Place the paste on the affected area of the scalp. Do this about twice a week. A lot of people are not too familiar with licorice root because they are more familiar with the candy – licorice. Do remember that licorice root can be essential in the prevention of hair loss. Licorice root has mollifying properties and this can help open up the pores of the scalp. This can also help reduce scalp redness and irritation that might be causing hair loss. Grind the licorice root until it is in powder form. Place the licorice root powder with milk and saffron. Place the paste on the scalp and leave it on overnight. Wash your hair in the morning. Do this for at least a month. Yet another thing that can be used to help prevent baldness is the beetroot. The main reason why it is so effective is because it contains carbohydrates, proteins and a lot of other vitamins that can help in essential hair growth. Mix beetroot juice as one of the things that you can place on your diet. You can also make beetroot juice together with all the other juices that you take every day. This is another effective remedy for bladness and hair loss,which contains a large number of compounds that can improve hair growth. Coconut milk contains proteins, essential fats and minerals such as potassium and iron which can strengthen brittle hair. Grate some coconut and make some coconut milk . Apply this cream on areas where your hair is thin. Leave the cream all night, and in the morning wash it off with water. Henna is a major hair fortifier which has been used for hair coloring and as a conditioner in Asian and African countries.You can mix it with mustard oil to get a better result. Put about 250 ml of mustard oil in a saucepan, add 60 g of washed and dried henna. Heat the mixture until the leaves are completely flamed. Then filter the mixture with gauze. Let it cool and keep away from light. Apply the mixture on the scalp and let it dry. Then, wash it off with cool water and a mild shampoo. Some Drug such as Finasteride tablets and Minoxidil-based hair lotions can help cure hair loss by slowing down the capillary cycle. But these drug treatments have important side effects, such as loss of libido. Hence you’d better consult your doctor before taking medicine. If it is already too late to save your hair with simple home treatments, you can appeal to aesthetic medicine.The technique of micrografting is to collect healthy hair pieces at the crown of the head to graft it on the affected areas.But you must choose a good doctor. Avoid too aggressive products for the hair such as the abuse of dry shampoo, dyes or gels. Choose a mild shampoo with neutral ph. Massage of the scalp from the neck to the top of the skull which can help stimulate the blood circulation. Avoid rinsing your hair with hot water that attacks the scalp and makes it easier to grease. Avoid wash your hair with hot water, that will hurt the scalp. In the sun, be sure to use sunscreen or a cap to protect the scalp. A varied and balanced diet meets the hair needs such as iron, copper, zinc, silicon and vitamins B and essential fatty acids.